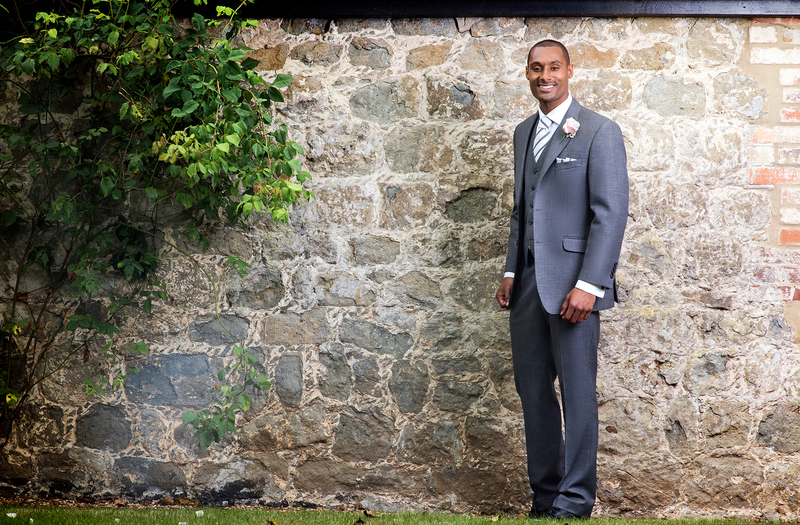 We carry a range of suit hire packages with something for everyone, including traditional top hat and tails, lightweight silk lounge suits and modern slim fit ensembles. Packages include shirts, waistcoats, neck wear, handkerchiefs and cuff links (where necessary) at no additional cost. 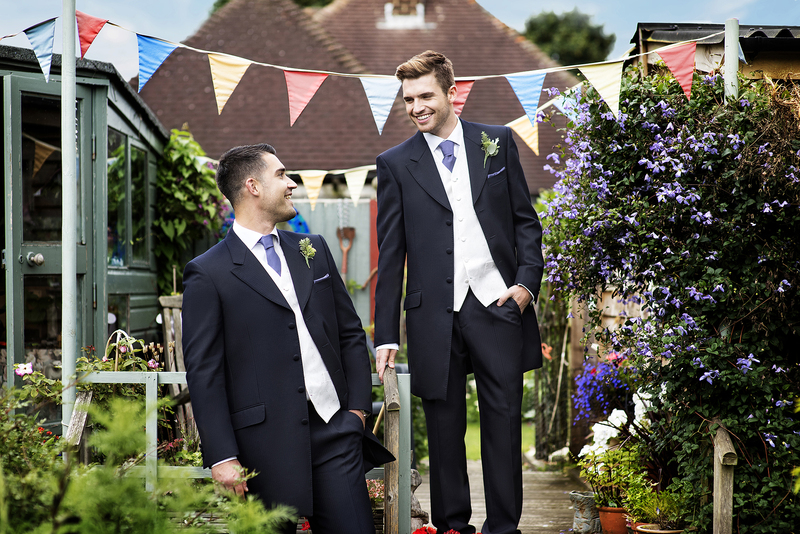 We supply both adults and children styles and so can dress you whole groomsmen party. If your blushing bride to be has her bridal or bridesmaids gowns from us we are happy to help you pick out co-ordinating touches that will tie your whole wedding look together. 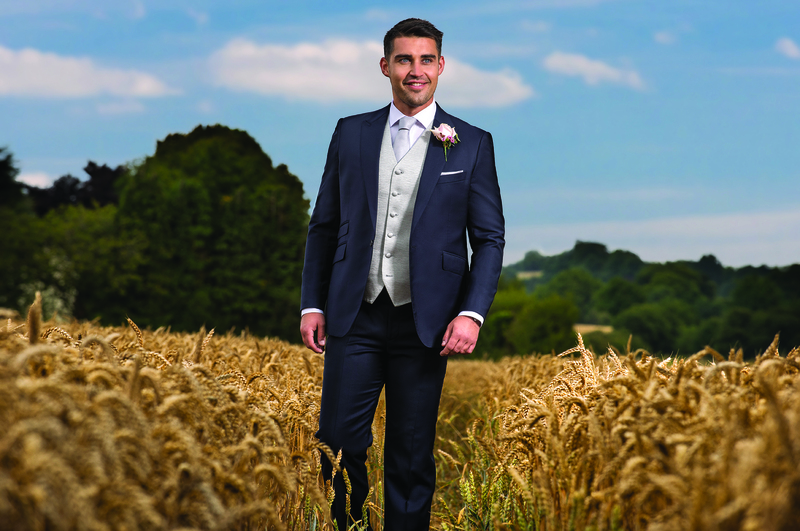 When you are ready to choose your wedding suit, make an appointment to visit us in store where we will walk you through our range of samples and styles. 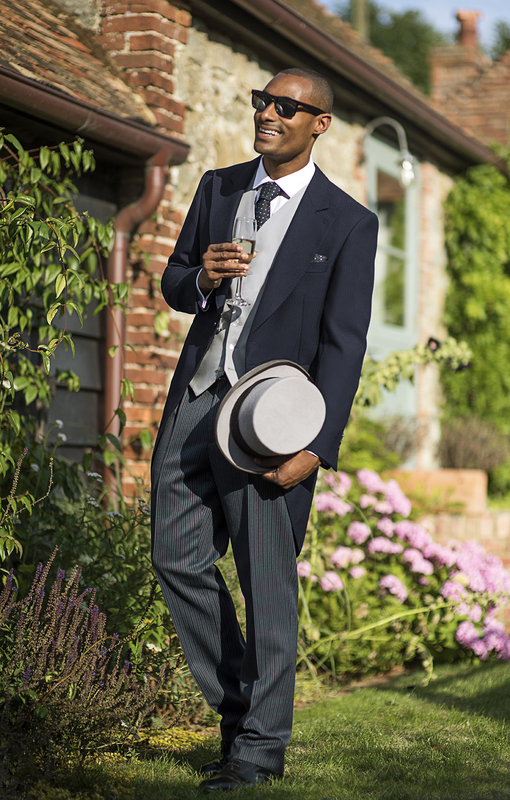 Once you have decided on a look, you can go ahead and place your order, or if you prefer, we can set up a try on service for your actual suit to be delivered to us in your chosen colours and sizes for a small charge of £10. This way you get to try on your exact suit as it will be on the day, in advance. 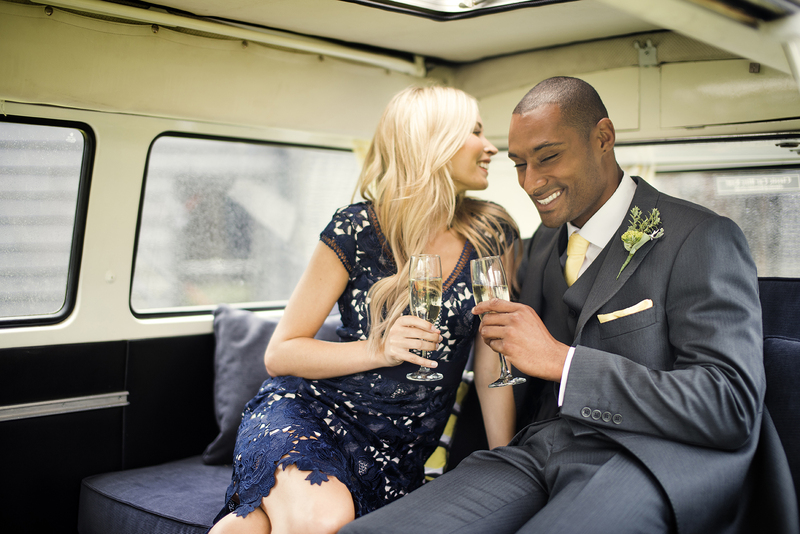 Once you have chosen your suit package and placed an order, a deposit of 50% is paid, and the rest of your suit party will be measured and sized in store.  Thereafter we will arrange for a fitting, which is usually done approximately 7-10 days before your wedding day, when the remaining 50% of your payment will be due. 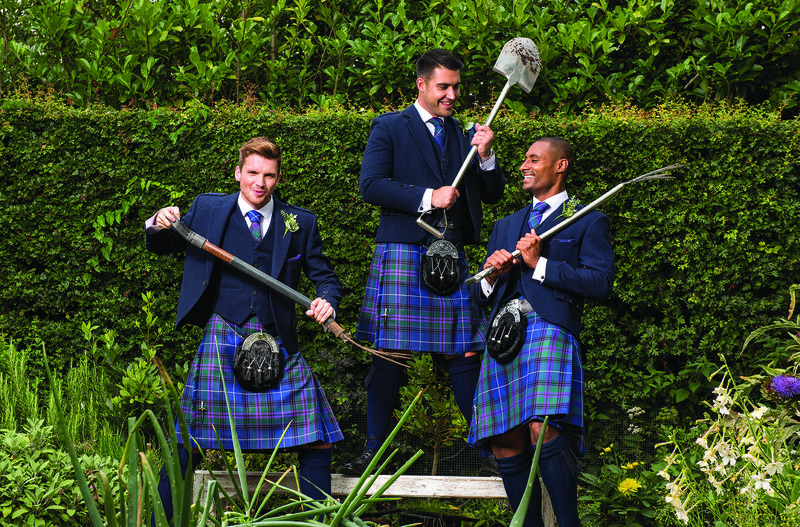 At these fittings we can make any small changes required to ensure the whole of your party looks their very best. 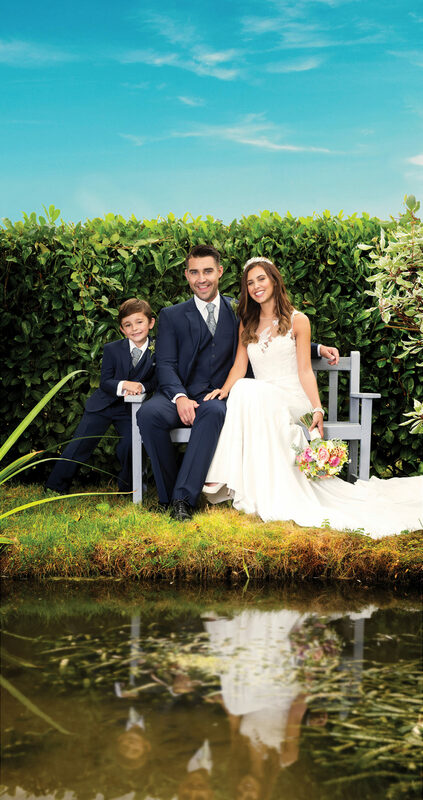 We recommend that you come and see us to place your hire order at least 3 months before your wedding, and we do offer incentives for those who have purchased their bridal gowns from us so don’t forget to ask when you visit us to arrange your suit hire. 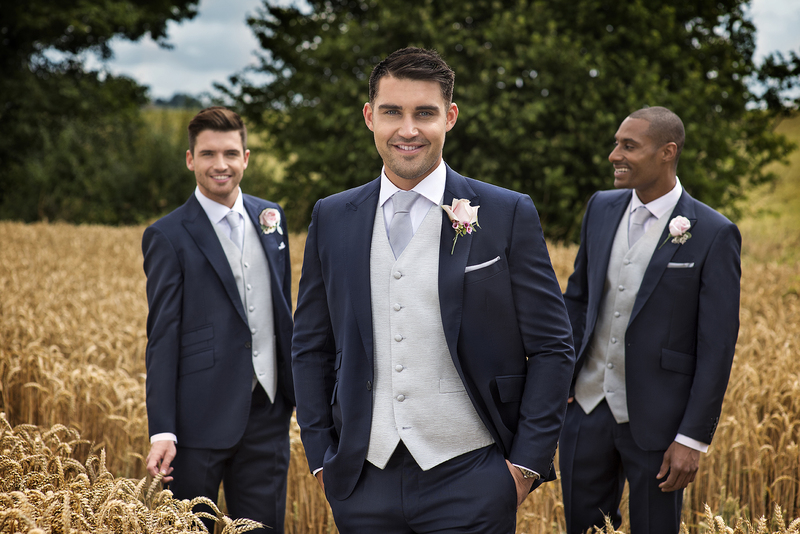 Visit our lovely suit suppliers website to browse the styles, and use their outfit builder to experiment with different looks to give you ideas before coming in for your appointment. 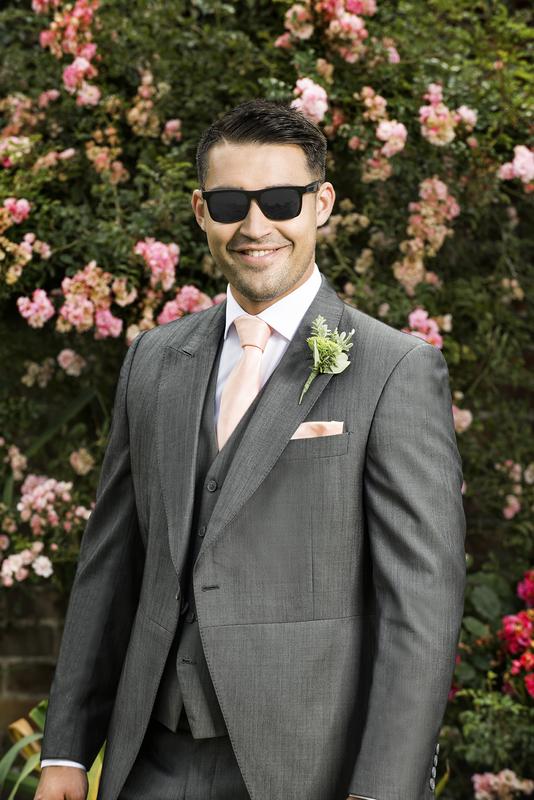 We also offer a range of evening wear suits including classic black tuxedos, cream dinner jackets, and an evening tails, to give your prom or awards ceremony that extra special touch.